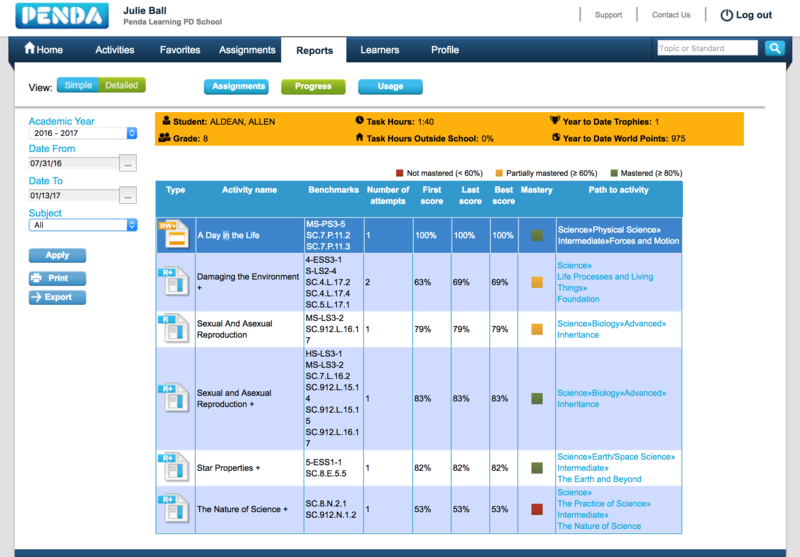 Use Penda To Conduct Your First Student:Teacher Data Chat. Here's How. Holding data chats with students can easily be done with just a few clicks of the mouse - literally. Penda Learning aggregates student progress data behind the scenes as students work on activities. 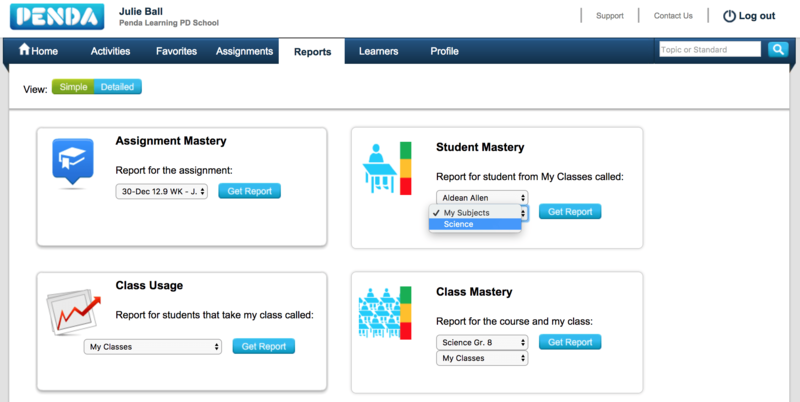 Through the Student Mastery Report and Class Mastery Report, Penda Learning provides teachers with these two real-time, user-friendly reports to assist teachers in holding data chats with students. It's recommended to hold regularly scheduled data chats (every 2 weeks) with students to set student accountability for learning expectations, and execute effective differentiated instruction by teachers. 6. Return back to the Reports menu using the navigation bar. 7. 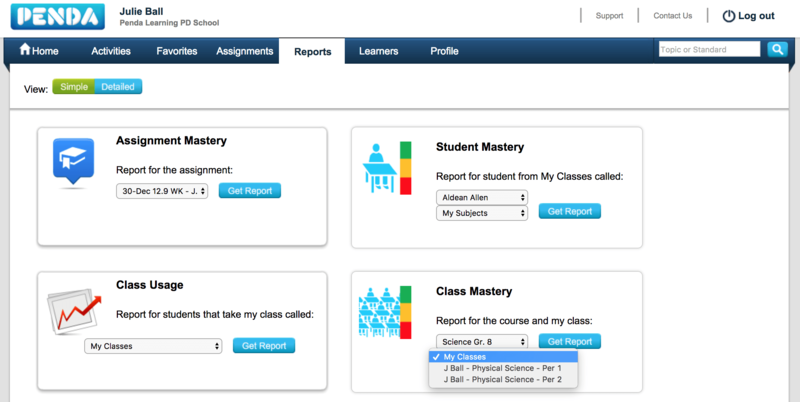 Next, generate an updated Student Mastery Report by selecting the student (listed by last name, first name) from the drop-down menu and respective subject, then press "Get Report." 9. Date range filters can be applied to target student usage and performance during a particular time period. The data can also be printed or exported*. 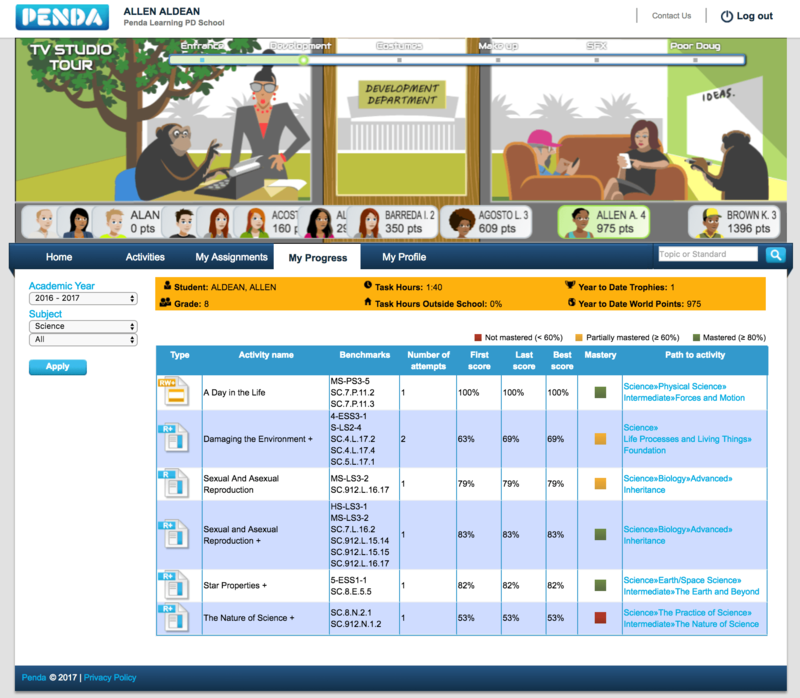 Penda Learning recommends a teacher/administrator have a computer accessible and be logged into their Penda account when performing data chats student-by-student. Using the above steps (see Part 1), a teacher/administrator can quickly move from one student to the next, holding data chats without the need to print reports. 2. Seek input from the student on activities not mastered or partially mastered - what is the student struggling with? What is the "stuck" point? What does the student think would help them understand better? 3. 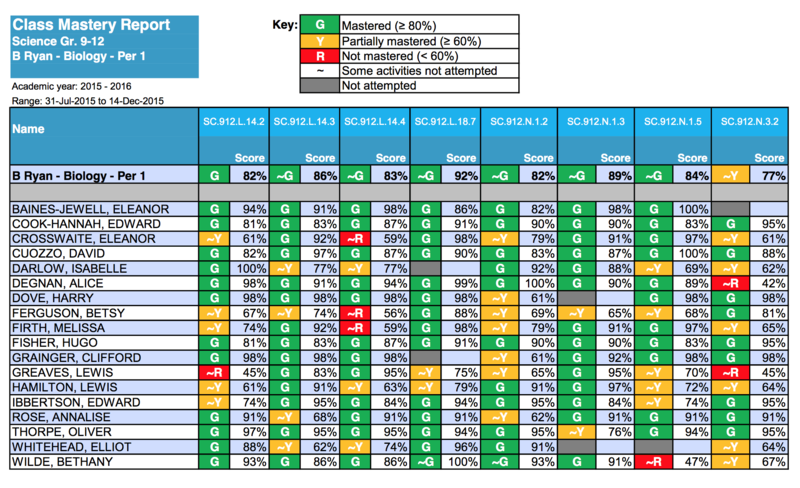 Give praise for activities mastered (green) and activities in which first score and last/best score show an increase. Provide encouragement and positive reinforcement in continuing work in reattempting activities needed. 4. Review activity number of attempts and first/last/best scores for trends - a student who has attempted an activity 3 times but continues to have low scores vs. a student who has attempted an activity 3 times and their last score/best score is higher than their first score tells a story about student engagement, proper usage, fidelity. 5. Assign the student to reattempt activities not mastered (red) first, then proceed to partially mastered (yellow) activities. These activities should be reattempted prior to the next student:teacher data chat scheduled. Students can work on any activity as many times as they wish, although they will only earn points during the first 3 attempts. 6. Provide encouragement and positive reinforcement in continuing work in reattempting activities needed. Encourage the student to use available resources in tandem with Penda while completing an activity. This could include a student note-taking guide, content vocabulary resource, textbook resource.